Larger spaces require larger stoves and this WoodPro WS-TS-2500 fits the bill. The 73,000 cubic centimetre, EPA-certified firebox holds a stack of 53 centimetre logs and can burn continuously and efficiently for up to 12 hours, while the included 2.8 cubic meter blower maximizes heat distribution. The single cast iron door with large window provides easy loading and a beautiful view of the fire. The Blackcomb, one of Drolets new high efficiency wood stove, is built to the highest standards of the industry. Mobile home approved, it also meets the Washington State emission standard. With its high quality vermiculite baffle, the Blackcomb offers unmatched durability. It makes it a great buy in the Medium wood stoves category. 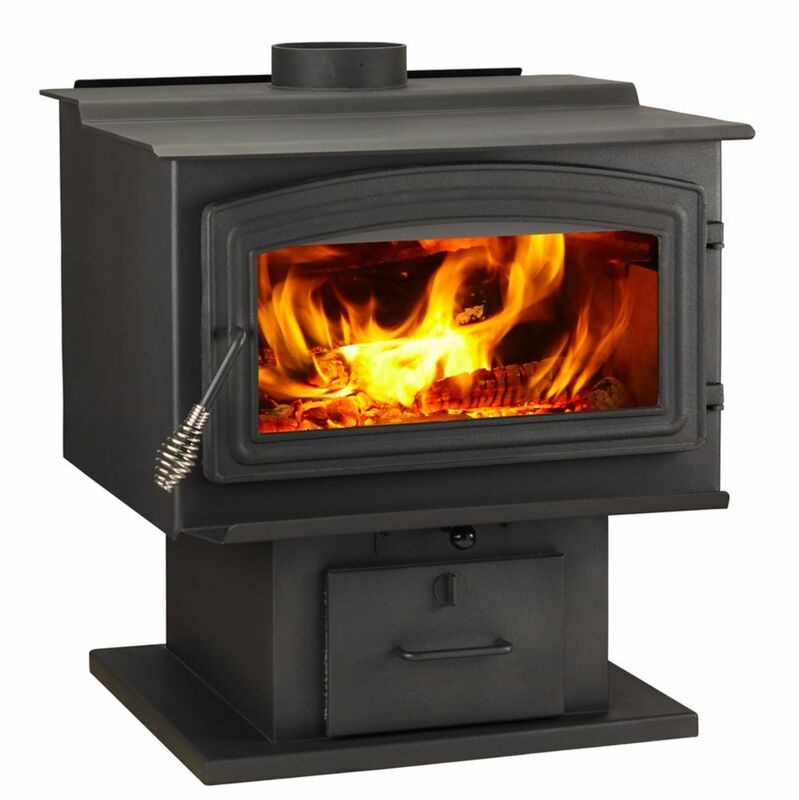 Large Wood Stove Larger spaces require larger stoves and this WoodPro WS-TS-2500 fits the bill. The 73,000 cubic centimetre, EPA-certified firebox holds a stack of 53 centimetre logs and can burn continuously and efficiently for up to 12 hours, while the included 2.8 cubic meter blower maximizes heat distribution. The single cast iron door with large window provides easy loading and a beautiful view of the fire.